TVS is giving out a host of offers for the Sport. They are offering a low downpayment of Rs 5,555 and no processing fee. TVS is also offering a cashback of Rs 6,000if you buy the bike via PayTM. Also on offer are a one-year personal insurance package for Rs 750. The Sport is TVS's entry-level commuter that comes with features like alloy wheels and electric start. Fuel tank capacity is 10 litres while the Sport weighs 108.5kg. It is powered by TVS's 110cc Dura Life single cylinder motor. It makes 7.8PS and 7.5Nm of torque. Suspension setup includes telescopic forks and twin rear shock absorbers that are adjustable for preload. Braking is via 130mm drum brakes on both sides. 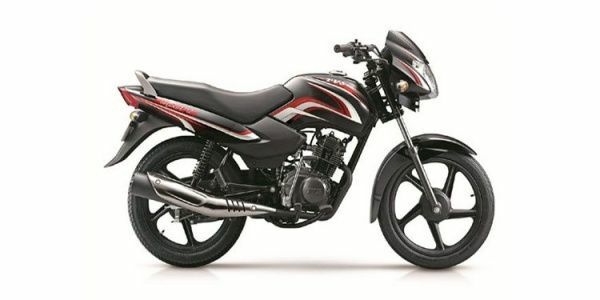 The TVS Star competes with the Hero Splendor and Honda CD 110. TVS Sport prices start at Rs. 41,123 (Ex-Showroom) and the top end variant TVS Sport Drum Self and Alloy is priced at Rs. 47,654 (Ex-Showroom). TVS Sport is available in 3 variants and 8 colours. Share your experiences with Sport? The claimed ARAI mileage for the TVS Sport petrol is 95 kmpl. Stylish 100cc motorcycle from TVS Motors, the TVS Sport comes loaded with oodles of features and now has been tuned for more mileage, the company claiming 95kmpl from the new Star Sport. Q. What are pros & cons of Bajaj CT 100 in city traffic and Is it better value for money proposition when compared with TVS Sport spoke? Tvs sport..👍👍It has speed as well as mileage. Q. Which one is best between Bajaj Paltina and TVS Sports? Sir ji aap TVS Sports es khoridlo. You can go for TVs sports. Q. What is the best choice between TVS Sport and HF Deluxe? Q. How is the bike in this budget in terms of mileage purpose, performance and comfort? Gets new decals, longer seat and wider grab rails! The 2015 TVS Sport commuter motorcycle claims a fuel economy of 95kmpl and the base variant is priced at Rs 36,880 ex-showroom Delhi. TVS sport bike is so much comfortable for mileage for driving for money . Best for guest's personality..